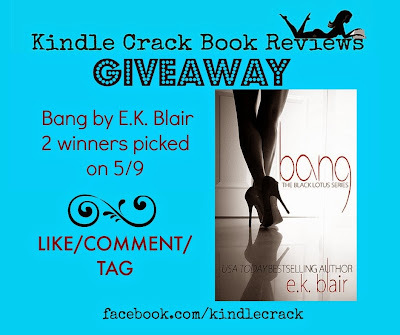 Before you read Echo you will need to read Bang by Author E.K. Blair. TWO winners will have a chance to win an ebook copy of Bang. I read and LOVED both books! Echo will release on 5/12! *ON 5/9 TWO random winners will picked. eBooks will be sent via Amazon only.